Janet Cattier, 161 Uplands Road, Woodford bridge, Essex. 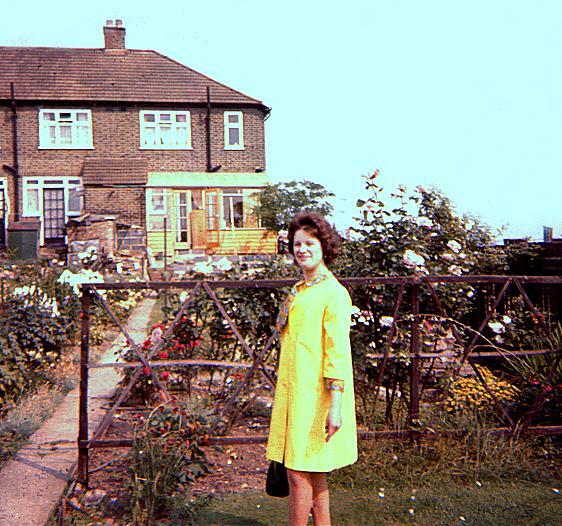 Stephen Cattier's sister, Janet, in our then abode (1964 - 1970) 161 Uplands Road, Woodford Bridge, Essex circa second half of 1960s. View in the opposite direction. 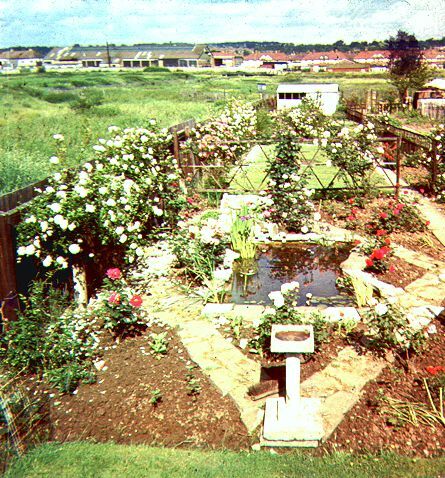 The M11 motorway now occupies this garden laterally on an embankment commencing from the bird bath.